Home / ESCs / Racing Drone ESCs / TBS PowerCube V2-F3 Flight Controller and ESC All-In-One Solution. No more soldering! It’s a high-performance solution and the best part is that minimal to no soldering is involved, so you can just hook up your motors with bullet connectors and you are good to go. The cube is the easiest way to build and get flying. It takes most of the hassle out of building quads and is great for beginners and advanced builders alike. A Sparrow Racing Quad with the TBS cube installed. Available separately is the TBS FPVision module – it replaces the bottom PDB layer and integrates the TBS CORE PRO and TBS Unify Pro technologies. The Core PRO takes control of everything. You can fully configure your flight control with your remote control, tune your multi rotor without the need for a laptop. And during the flight, you’re beeing kept up to date with everything that’s going on in- and around your multi rotor. Initially, this was going to be a 1 star review, but Chad at QuadQuestions really helped me get this setup. I bought this with a QAV210 frame, Cobra 2204-2300’s and a bunch of other stuff from here for my first build. I chose the powercube for simplicity. First: buy 2mm male bullet connectors if you’re going that Route, or cut the one’s off the ESC’s. Third: download the DFU tool listed in the manual. We recommend that you run the stock firmware at first. Beta flight is beta software- use at your own risk. You will not need to use the DFU Flashing tool to fly. Fifth: Use the DFU manager app that installs with the aforementioned DFU tool to generate a DFU based on the latest betaflight FW. Don’t even bother trying to flash anything with cleanflight and the powercube (currently) because you’ll just get a “failed to communicate” error. All flashing has to be done with the DFU tool. 6) Flash the generated DFU based on the betaflight FW. When flash is complete, disconnect the USB, Power the board with a battery and wait about ten seconds. 7) Disconnect the power, plug in USB and connect to cleanflight and do NOT restore a backup of any settings you backed up based on TBS firmware as it seems to cause it to fail to arm. 10) CALIBRATE THE ESC’s!!! Especially now that you enabled 2KHz mode and everything’s going to be calibrated to the old 186Hz value (providing the ESC’s were ever calibrated, which they don’t appear to have been). The easiest way to do this is, with the battery disconnected, go to the motors section of CF, enable the motors and raise the value of the master slider to the top. *DISCLAIMER* I accept no responsibility if your motors kick on and you’re doing this with props installed, so do it without props or make sure nothing’s in the way of the props and keep a hand on top of the quad for safety. Now, connect the battery and after it does goes through it’s beeps, lower the master slider all the way to the bottom, at which point you’ll hear a beep confirming the ESC’s were calibrated. Unplug the battery, disconnect from CF and your computer and enjoy the powercube in a useable state. It is a great product, very small, easy to connect, less hassle, no soldering which is a plus if you don’t know how to solder. Makes building a quad so much simpler and cleaner, especially when paired with a QQ190 frame. Don’t know how it would perform in top level competition, but for the average guy this thing’s perfect. What version of betaflight is flashed on it? It is constantly getting upgraded. 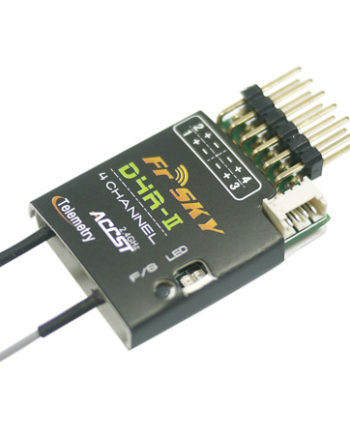 It is easy to flash to the latest version of Cleanflight or Betaflight if a newer one comes out. Is this system suitable for a Hex copter? I want to use my IPAD Mini2 for flight screen, can this be connected to the system for telemetry and video? I want to use a GPS for stabilization to use my 350 for video, which one? Hi Roy, Yes, you can use the powercube for a Hexacopter build, however, it will require that you add 2 escs to it and do some extra configuration in the software. Here is a photo of the Sparrow Hex powered with a TBS powercube built up by Sacdrone in San Jose, CA. Would like to know if I can use the TBS PowerCube V2-F3 Flight Controller and ESC All-In-One Solution on a TBS Discovery Pro with Gimbal for long distances. If so, what are the necessary modifications? Is it possible to use the TBS PowerCube V2-F3 Flight Controller in a tbs Discovery Pro long distance? If so, what changes do we need to make? Hi Paulo, you can absolutely use the TBS Powercube in a long range FPV setup such as the discovery. I would absolutely recommend a TBS core Pro along with a TBS GPS unit so that you can utilize long-range navigation to monitor your battery and find your way back home. Feel free to message us at support@quadquestions.com so we can help you build the perfect setup.